Photo: Minister Mark Brantley (left) meets with Witold Waszcykowski, minister of foreign affairs of Poland. Basseterre, St. Kitts (MOFA) – The Permanent Mission of the Republic of Poland to the United Nations recently informed the government of St. Kitts and Nevis that it has removed the federation from its national list of uncooperative tax havens. The publication resulted in several démarches made to the delegation of the European Union, protesting the “unfounded” nature of the action. St. Kitts and Nevis lobbied intensely on its own behalf, both locally and abroad, and by utilizing as many diplomatic fora as possible. This translated to the minister of foreign affairs, the Honourable Mark Brantley, engaging his Poland counterpart in the margins of the EU-CELAC Summit held in Dominican Republic in October 2016, while also availing himself of numerous opportune moments during conferences overseas to engage the representatives of the respective countries to advance the cause of the federation with respective to being removed from the list. 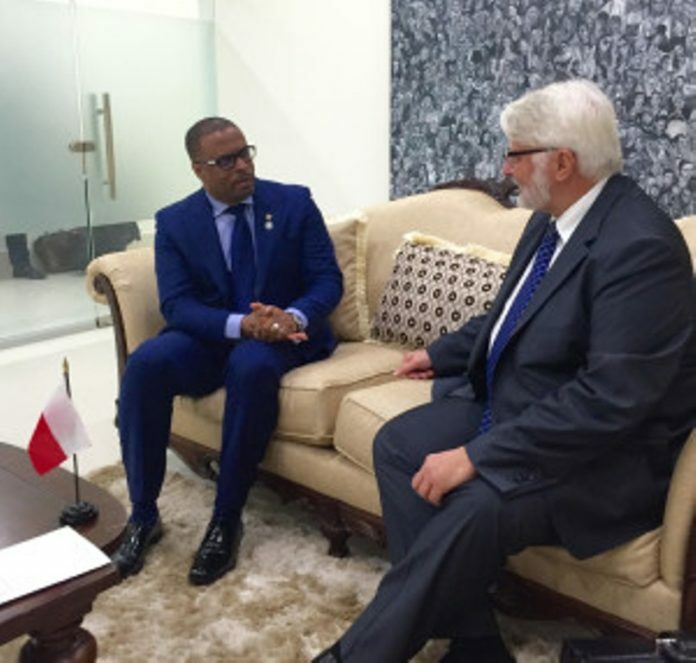 The ministry hails this decision by Poland to remove St Kitts and Nevis from its uncooperative list as “a move in the right direction and a signal of the unrelenting diplomatic efforts of the federation,” the release stated. Of the initial 10 countries, St. Kitts and Nevis has now been removed from the lists of Estonia, Italy, Greece and Poland.